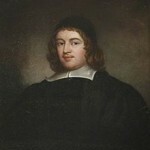 In the Scriptures there is a portrait of God, but in Christ there is God himself. A coin bears the image of Caesar, but Caesar’s son is his own lively resemblance. 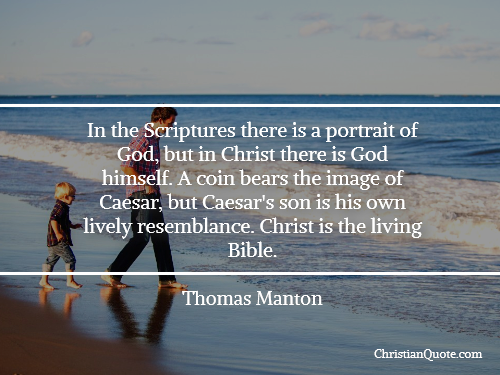 Christ is the living Bible. 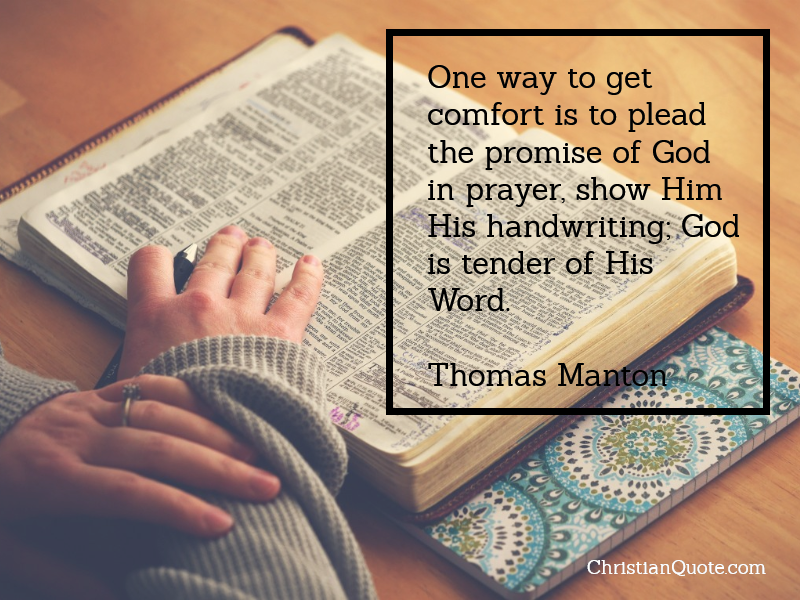 One way to get comfort is to plead the promise of God in prayer, show Him His handwriting; God is tender of His Word. 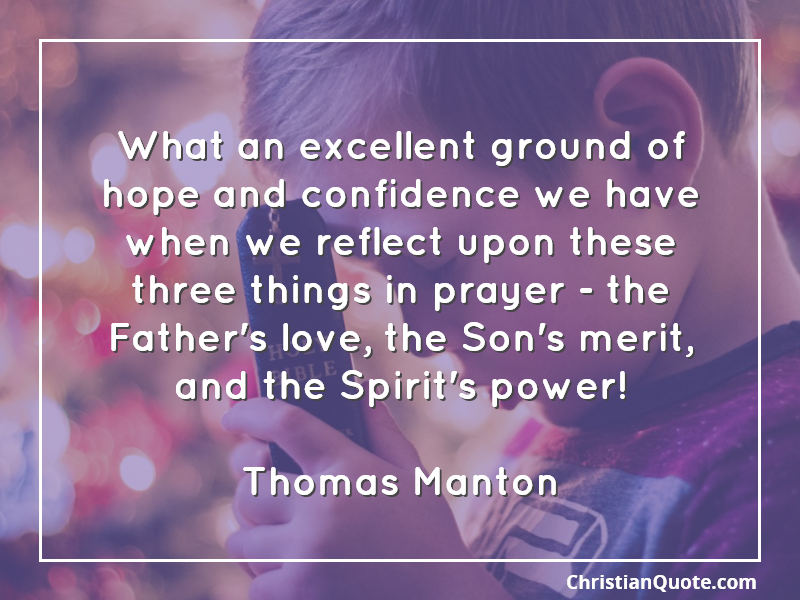 What an excellent ground of hope and confidence we have when we reflect upon these three things in prayer – the Father’s love, the Son’s merit, and the Spirit’s power! God’s mind is revealed in Scripture, but we can see nothing without the spectacles of the Holy Ghost.